When your diet is threatened by BHT and BHA; with mercury; with genetically modified, genetically engineered false foods – you need protection. 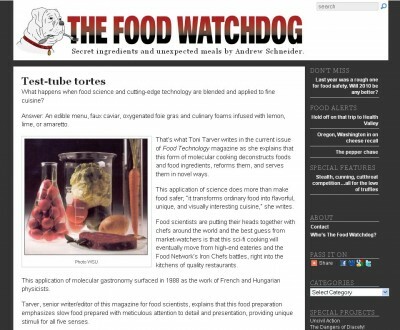 TheFoodWatchdog.com provides original, investigative food journalism articles to present you with food facts. My redesigned WordPress website for two-time Pulitzer winning former Seattle P.I. writer, Andrew Schneider. The food journalism blog includes special features and food alerts, as well as a Word of the Week. Schneider just signed a deal with AOL (that’s not another Big Ag additive – that’s America Online) as Senior Public Health Correspondent.